Alrighty, after a good many hours of sleep I finally feel refreshed enough to actually do a real post of the finished coat. This coat was quite an adventure. 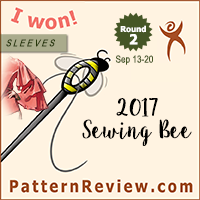 I had been planning it since back in February, with fabric selections and pattern selections occurring around May, and the finished project happening mid-September, the last touches finished with just five hours to spare. Yup, a whole five hours. I rock. This was one of those cases where the envelope and line drawing did nothing for me, but the finished examples on Pattern Review totally made me excited about the style. Indeed, I was totally rooting for this style from the onset of the project, so I was super happy when my sister picked it as the winning pattern. Lining – 100% silk. Sumptuous. 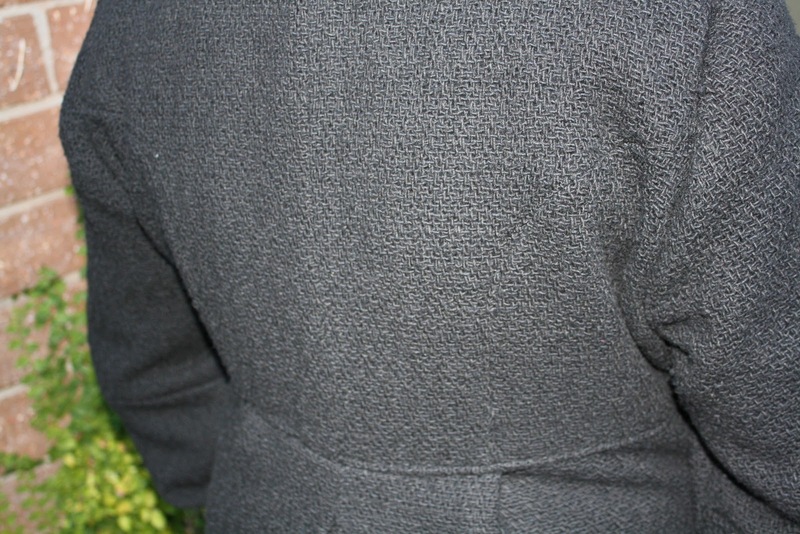 Attempt to show detail of back seaming. 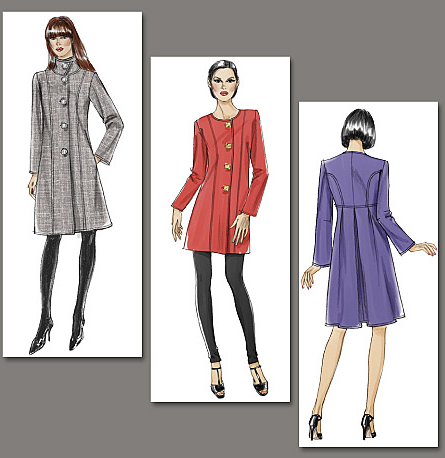 Pattern Description: From Vogue: Lined coats A, B, C in two lengths, A-line with or without collar, close fitting with princess seams, back pleats, long sleeves with elbow darts, and topstitching trim. This pattern also comes with side pockets. I made view C – knee length with the stand-up collar. Pattern Sizing: (8-10-12-14) and (16-18-20-22-24). This pattern also comes with A, B, C, D cup sizing. I really liked that this style is available in a wide range of sizes and comes with cup sizes, as I feel it is flattering for many body types. A word of caution – the sleeves are very tight, so you will probably have to do some major fit alterations if you don’t have stick arms. Were the instructions easy to follow? Super easy! 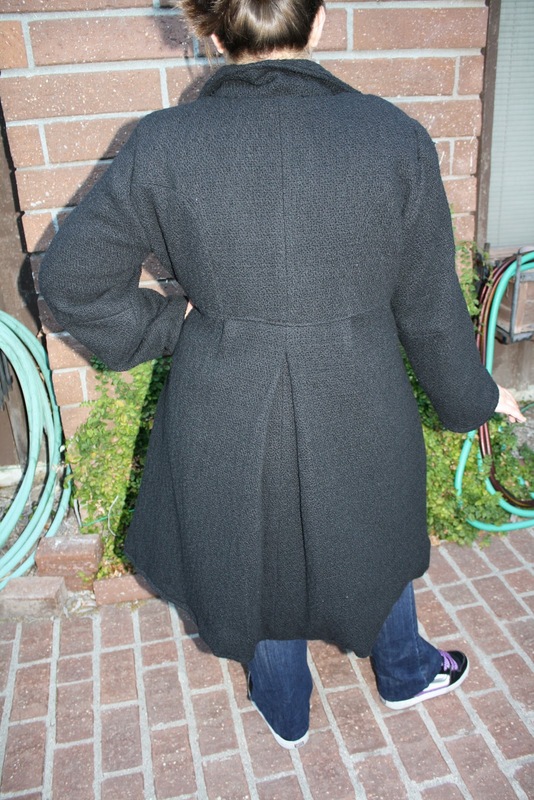 This is a great first-time coat pattern because it walks through the entire process step by step. The only part of the instructions I didn’t like was finishing the sleeves and the lining, and then adding shoulder pads to the inside. I thought that would look super tacky, so I added the shoulder pads before attaching the lining to the coat so they would be hidden. I think it looks much nicer on the inside this way. Did it look like the photo/drawing when you were done with it? Yes! Very much so. I even used black textured fabric, so it looks almost exactly like the drawing. What did you particularly like or dislike about the pattern? The style is great and the instructions are good. I think this looks much better made up than in the envelope drawings, and the details on the back are interesting and stylish. Overall this coat is a total winner. Only minor complaint is that the lining pattern is the same as the shell. I have gotten spoiled with Burda, where the lining is a separate piece. I interlined for warmth, which stabilized the lining, but I think if I had just done a regular thin lining it may have had issues with stability on the curved seams on the bodice back. Also, I found the sleeves to be extremely narrow. Fabric used: A lot! Cutting took forever. The fabric was mostly ordered online because it is impossible to find winter coating in stores where I live ever, but especially in May. 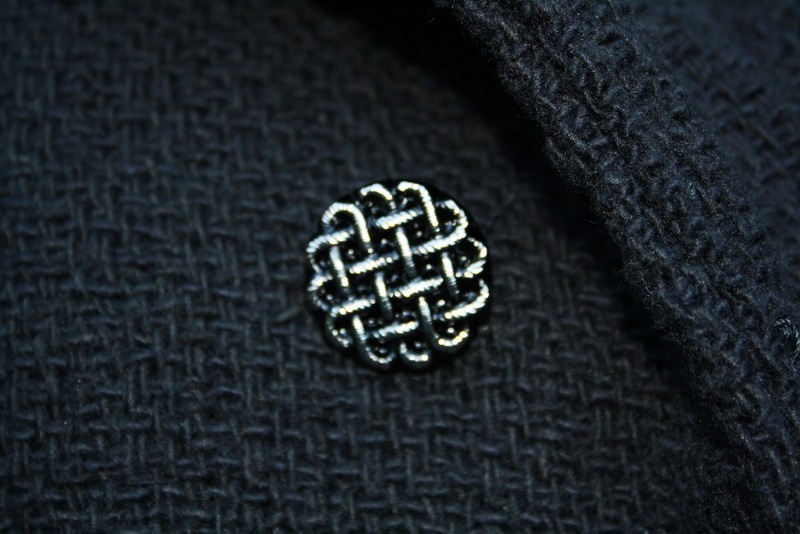 Ok, so here is the breakdown of what I used: Outer shell – wool coating from Fashion Fabrics Club. I underlined this with black silk organza from The Sewing Place. I got some black cotton muslin from the local store as a second layer of underlining. The weave on the wool is very loose, and it needed the muslin for opacity, and the organza for structure. I used hair canvas from The Sewing Place as interfacing (I pad stitched for the first time! ), and it gives lovely results. For the lining I used silk charmeuse from Fabric Mart, and I interlined with cotton flannel from the local fabric store. Fun fact: the flannel is purple with teddy bears because it was on sale in the flat folds section. I got the buttons from Joann’s, but they are nice quality, pretty sure they are glass. 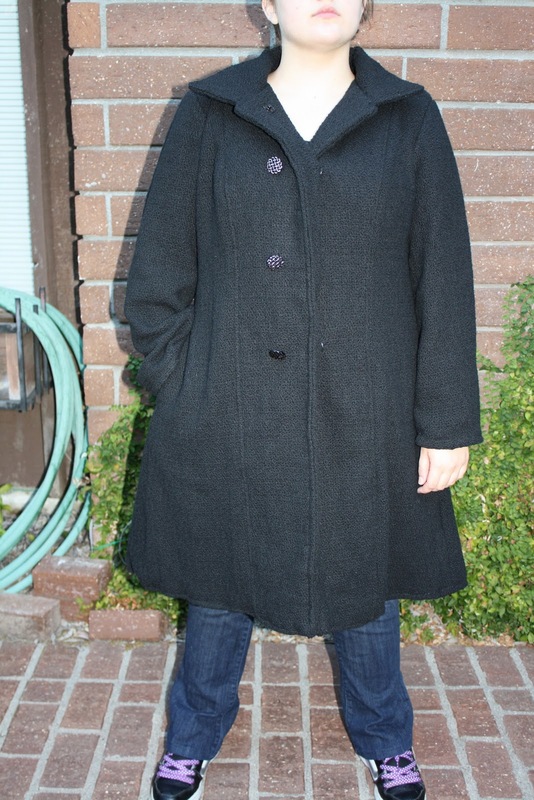 I think the finished coat weighs something like five pounds, but it is super comfy and warm. 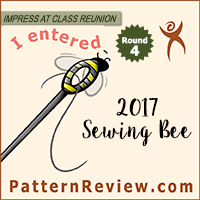 Pattern alterations or design changes you made: I made only minor alterations for fit. It is a bit large, but designed to be able to wear a thick sweater underneath and still have some wearing ease. Also, I sewed in the shoulder pads before attaching the lining, not after. The only design change I made was to use snaps as closures instead of making button holes. The front was so thick (7 layers – wool, organza, muslin, hair canvas, muslin, organza, wool) that the machine couldn’t make a button hole. I thought about doing buttonholes by hand, but worried about making a mess, and I was under a tight deadline, so I opted for snaps. I used buttons as decoration though. I didn’t add a button/snap to the collar, but I may at a later date if my sister decides she wants one there. Would you sew it again? Would you recommend it to others? 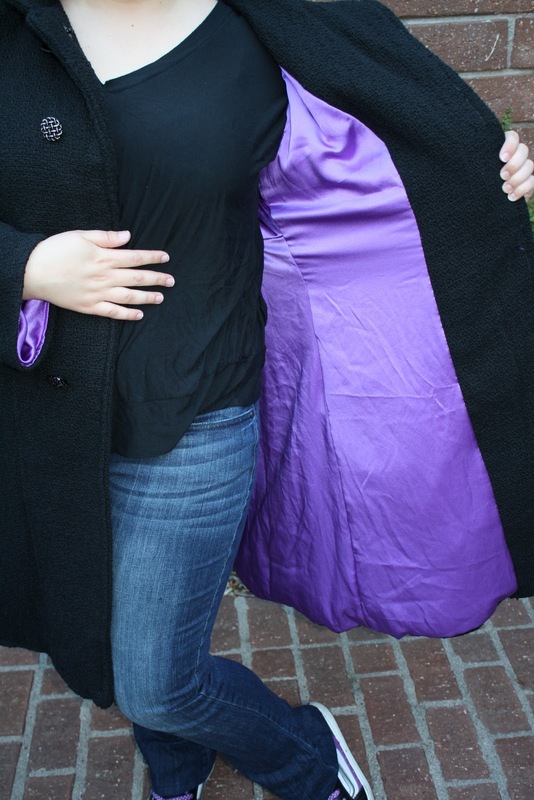 I would probably make this coat again if my sister asked me, but probably not for a long while. There are so many other styles I want to make for myself that I don’t know if I would make one for me anytime soon either. 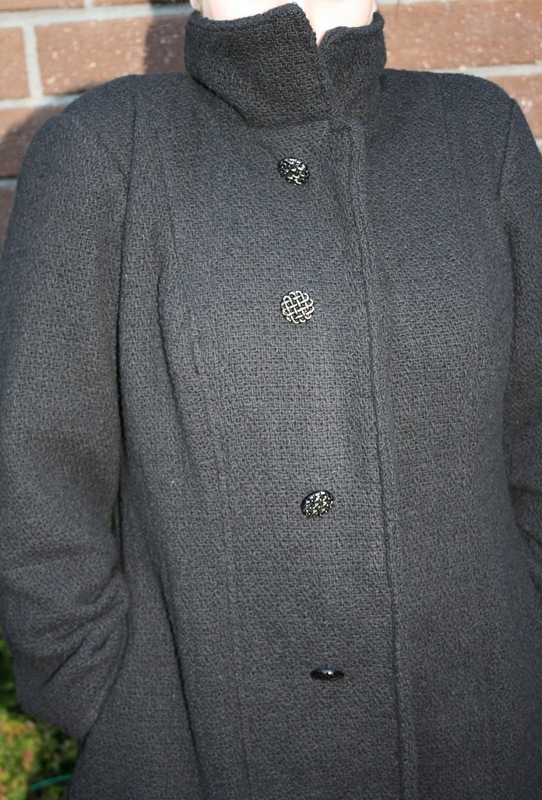 The pattern is great, but usually I want to make coats in different styles, not make one style multiple times. I would highly recommend it to anyone wanting to make a coat however. It is a great style and pattern. Conclusion: Great pattern! The style is great and the instructions are easy. The results look very nice. I am happy I spent the money on good quality materials – I think it really elevated the results to something much more polished than many of my other projects. The finished coat will hopefully stand up to the cold European winter, but in any case I think it looks great and I couldn’t be more pleased with the results. So yay! It is done and I can get back to the regularly scheduled program: sewing for me.